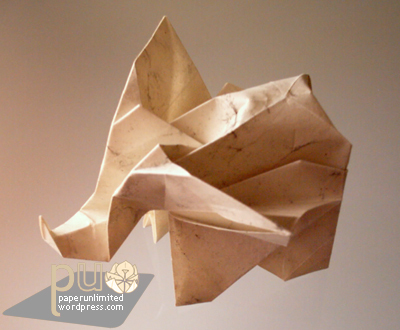 The diagram came from Origami Tanteidan Convention volume 5, page 60. The name is ゾウ/ elephant and is by 川畑文昭/ Kawahata Fumiaki. This one is made in 52 steps. As for me they were 52 easy to understand steps :) and the final result is very realist; everyone can actually see that’s an elephant! And that’s always good. 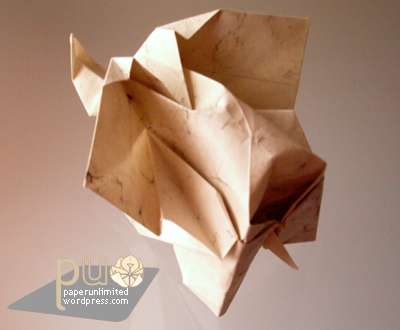 This entry was posted on 2007|02|22 at 12:03 and is filed under origami. You can follow any responses to this entry through the RSS 2.0 feed. You can leave a response, or trackback from your own site.